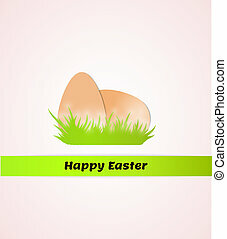 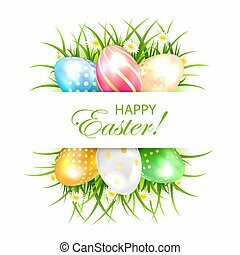 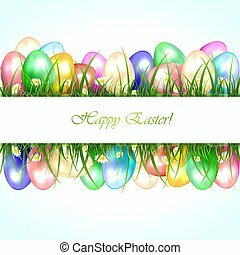 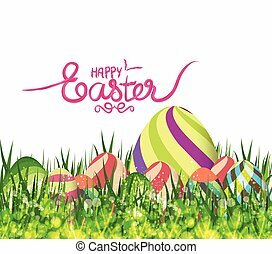 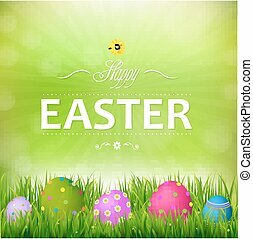 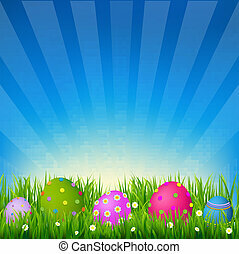 Happy easter banner with grass and eggs with gradient mesh, vector illustration. 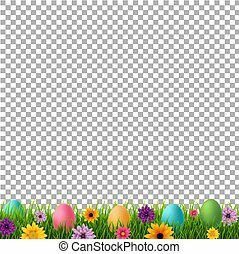 Easter banner with multicolored eggs in a grass, illustration. 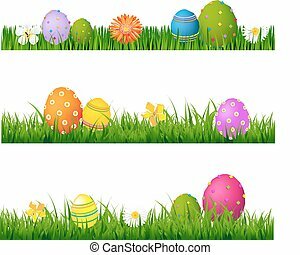 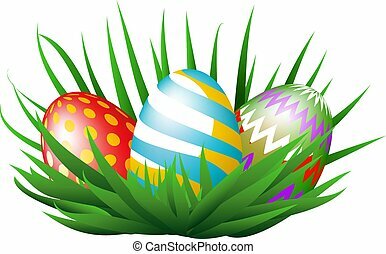 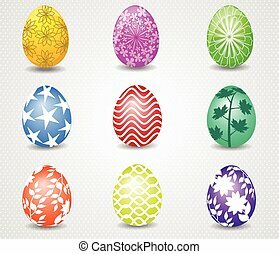 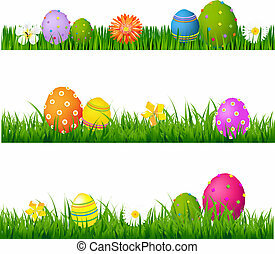 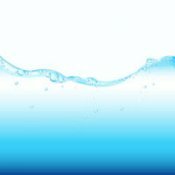 Banner with colored Easter eggs in a grass, illustration.